My Name is Nguyen Van Hien. 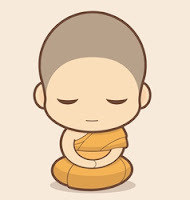 I'm a programmer who is also interested in Buddhism and right now I'm in the planning stage for creating software inspired by Buddhism. The reasons for creating Buddhist apps are to allow the sharing of Dharma to more people and also to setup digital buddhist alter. I hope that many others will benefit from software helping to put the teachings into practice. If you have any questions, comments, or suggestions, please contact us via e-mail at one of the following email addresses.